The polar bear’s habitat is the Arctic. In winter, the temperature there can drop to -50° Celsius. Although its fur coat appears white, its hair is transparent and hollow on the inside. The air inside these hairs is warmed by the sun, so that polar bears do not freeze even at icy temperatures. Under their fur, polar bears have black skin. It stores the heat from the sun. Schleich toys are made of polyvinyl chloride, PVC. PVC is commonly used in the construction industry for plumbing water lines in homes and businesses. Schleich also adds a softener developed by BASF called Hexamoll® DINCH®. This softener is not only used in toys but also for food packaging and for use in the medical field for blood product packaging and breathing tubes. The combination of PVC and Hexamoll® DINCH® ensures that that the final product will be protected against bad weather and extreme temperatures. Schleich complies with international toy regulations and US Federal laws that ban the use of phthalates in children’s toys by only using products from companies that supply laboratory reports concerning the quality of their processes and materials. Therefore, your Schleich figures will last longer, wear better, and are safer for your children. The CE label on Schleich toys certifies that the item complies with the relevant European regulations (EN71). 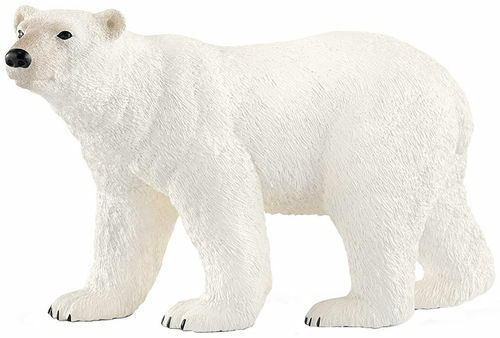 Alongside the international standard IS0 8124, Schleich also meets country-specific regulations for North America, Japan and many other nations. Some of the conditions set by other countries and markets are even stricter than the European standard. Every single Schleich product meets these conditions and requirements, as well. Please note some of our items contain small parts and are not suitable, particularly for children under the age of 3 years, as they may represent a choking hazard. Please read the size descriptions and carefully consider the size when making your selections and before allowing small children to play with these items.